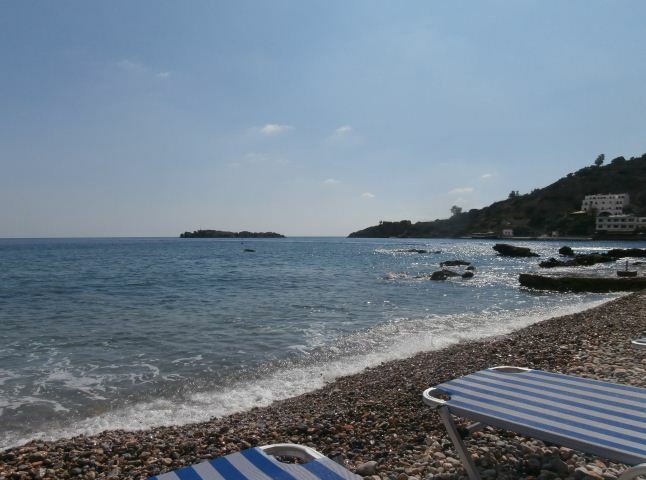 Keramos beach lies at the east end of the Loutro village, in the magnifncent area of Sfakia in south west Crete. 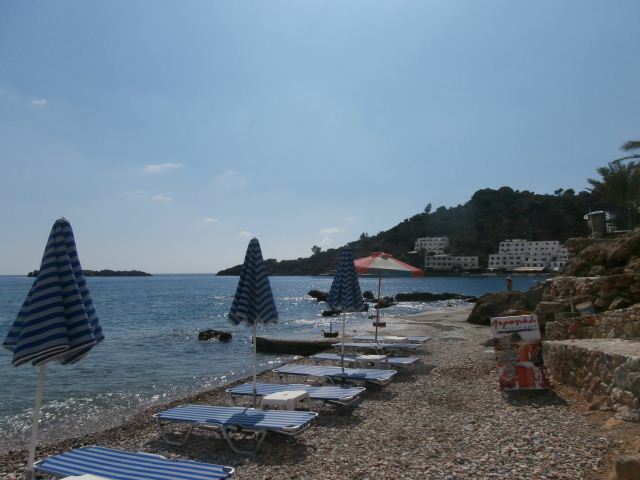 Umbrellas and sunbeds, showers, cafe, restaurants, fish taverns, accommodation, mini markets. Keramos beach features blue-green waters, so clear that you could easily meet up with the frequent visitors of the beach like the caretta-caretta turtles if you dive with a mask! Loutro is accessible only by ferry boats.